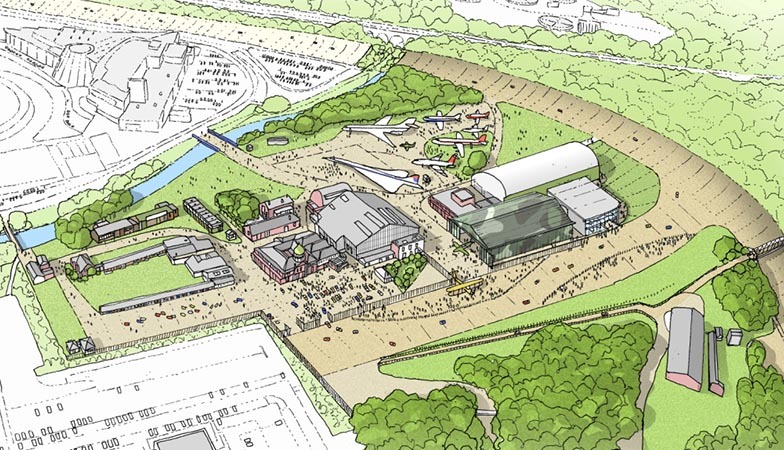 NEW for Autumn 2018 - The Wellington Walkthrough is now open! 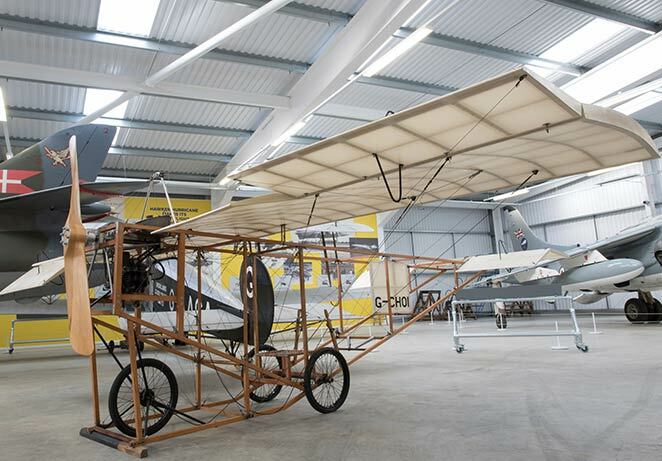 The new two-storey ‘Flight Shed’ has been constructed next to the site of the relocated Bellman Hangar. 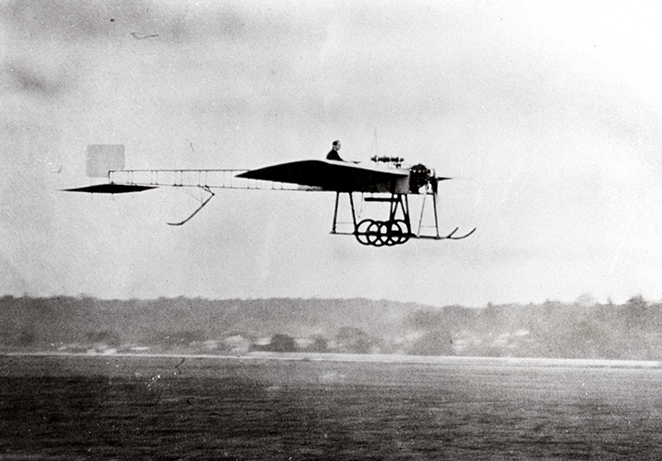 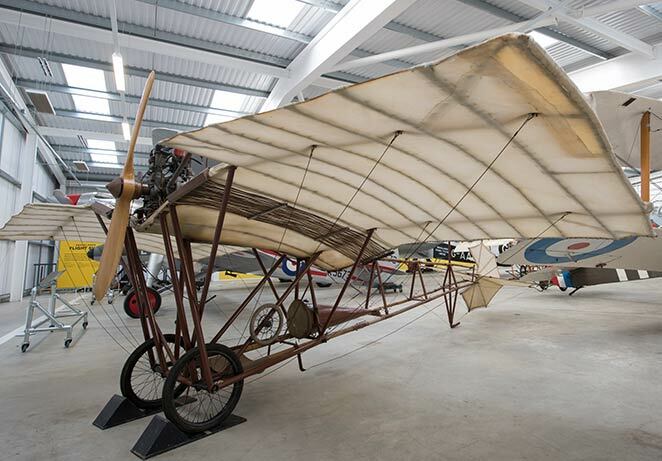 It is accessed via a footbridge from the upper level inside the Aircraft Factory. 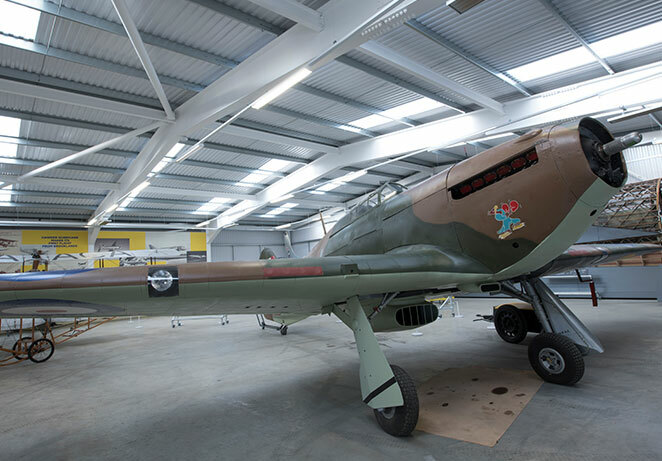 The centre piece inside the Flight Shed is the Museum's Hawker Hurricane Mk.IIA which was built in 1940. 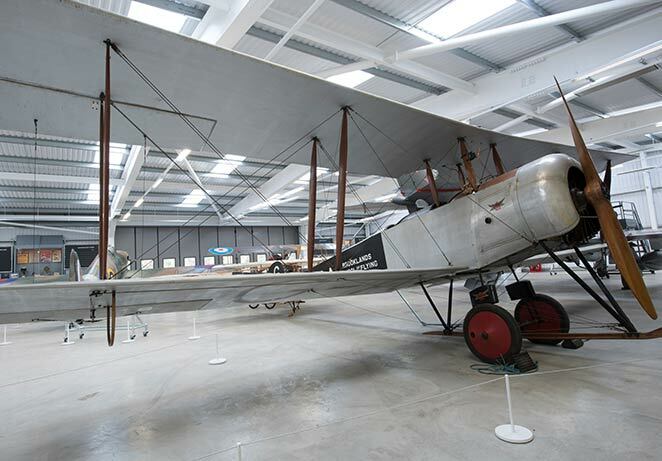 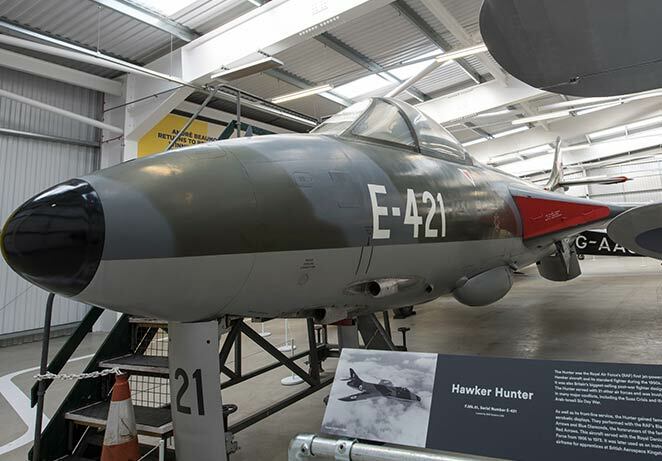 Other completed aircraft on display include the Hawker Fury, Hunter and Harrier, Sopwith Camel and a virtual Vickers Wellington walkthrough exhibit. 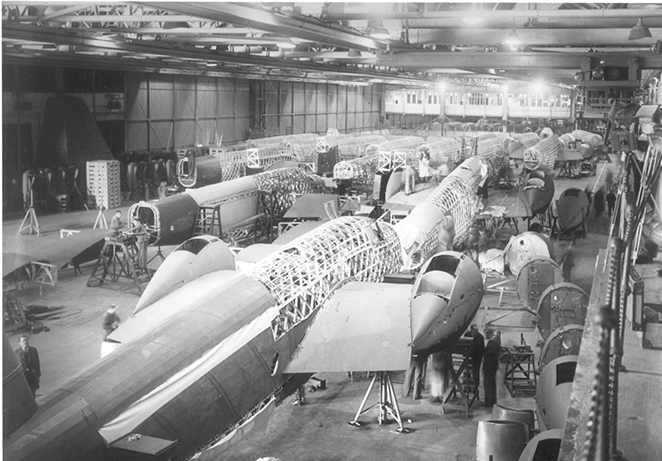 A more detailed history of the Hurricane can be found here. 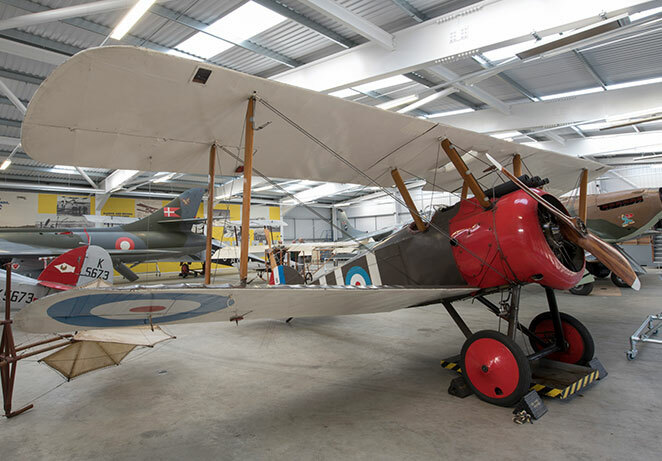 Smaller exhibits will tell the stories of the pilots and navigators who flew these aircraft and some of the technological developments that helped them do so. 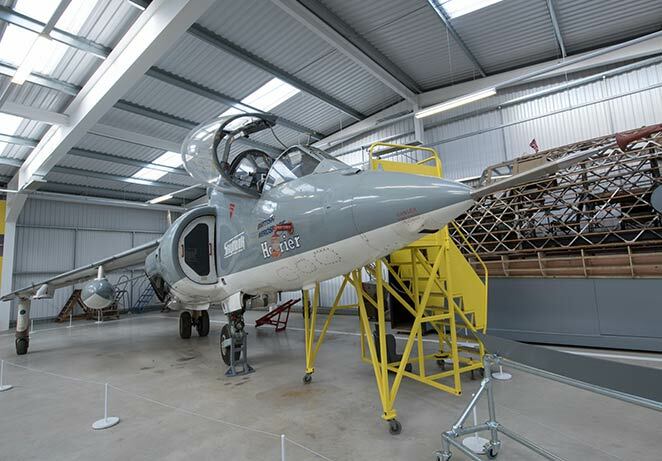 With level access onto the Finishing Straight, these live aircraft will be moved out of the Flight Shed for engine runs and taxying displays. 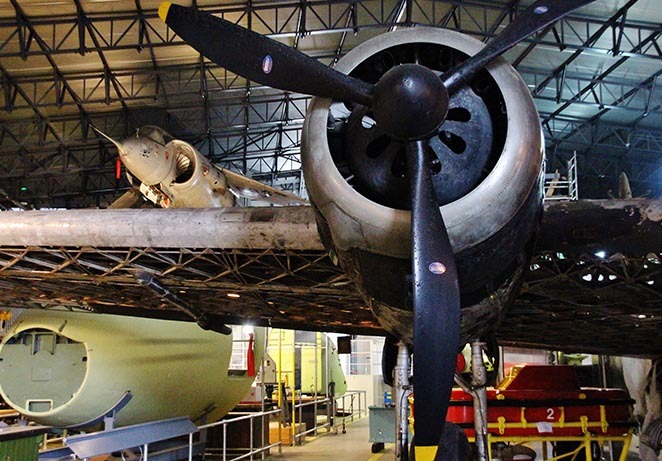 Entry to the Flight Shed is included in general Museum admission. 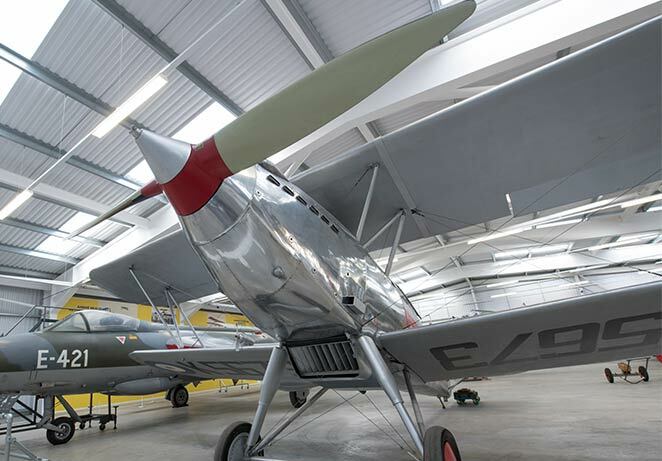 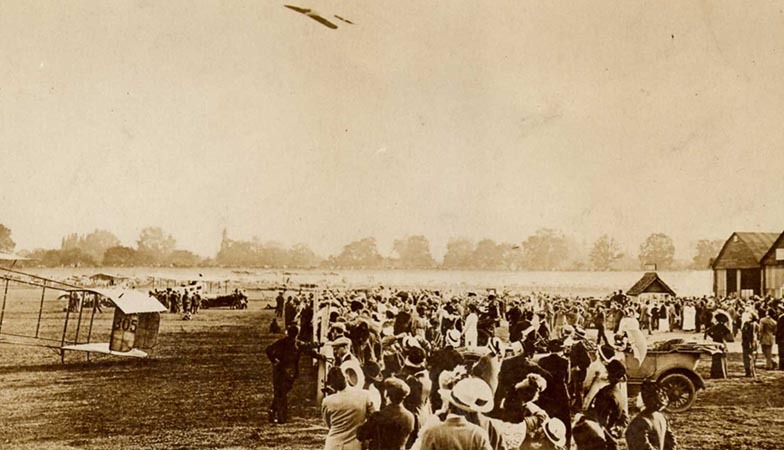 The exhibition is part of the Re-Engineering Brooklands Brooklands Aircraft Factory and Race Track Revival Project.